All of us have to make choices on a regular basis. They may be significant choices such as what career to pursue or whom to marry, or seemingly minor decisions such as what to wear to work and what to eat for lunch. Any time we have a choice, we have to make a decision. I realize that sounds simple, but my point is that when we have a choice to make we can commit to only one of two options. Sometimes we can choose between good and bad; other times we have to choose between a good option or a better option. But we need the skills to make good choices because our choices chart the courses of our lives. Deuteronomy 30:19 is one of the most powerful Scriptures in the Word of God. It says, “I call heaven and earth to witness this day against you that I have set before you life and death, the blessings and the curses; therefore choose life, that you and your descendants may live” (The Amplified Bible). I like this verse because in it God tells us what our options are and then He tells us which to choose. He says, basically, “These are your choices: life and blessings or death and curses,” and then He clearly instructs us to choose life. This is like taking a test in school and having the teacher write the answers on the blackboard! God wants to make it easy for us to experience the life and blessings He wants to give to us, but we must choose these things over things that bring death and destruction. The world is filled with people who live with regret. Most of the time you can identify these people because they seem to have a sense of heaviness, sadness or grief about them for no apparent reason and for a long period of time. These are people who are sorry about everything. They are sorry they didn’t finish their educations, sorry they are in debt, sorry they messed up their marriages, sorry they did not spend more time with their children, and more. I understand firsthand that wrong choices lead to regret. I looked at myself a while back and regretted never having been serious about exercise. I saw a marked difference between my husband, Dave, and me because he has exercised all his life and is healthy, strong and in good physical shape. When Dave and I return home from overseas travel, I struggle with jet lag for several days, but he can take one nap and be fine! That used to upset me, but I now realize he recovers more quickly than I do because he’s stronger than I am. Initially, I merely regretted that I wasn’t as strong as Dave, but then I realized I could do something about it. It is never too late to make good choices and start reaping good results. I now exercise regularly and have been amazed by how quickly my body has responded by losing fat, building muscle and producing more energy. If you find yourself regretting some of the unwise choices you have made in life, don’t be deceived into thinking it is too late to do anything about it. You can get out of debt and do anything else you want to do. All you need is to begin and then stick with it. We have the awesome privilege and responsibility of choosing to cooperate with God’s plan. Start making good choices so you can live a life in which you enjoy God’s blessings every day. Joyce Meyer is a New York Times best-selling author and one of the world’s leading practical Bible teachers. She has written more than 70 books, including the popular Beauty for Ashes and Battlefield of the Mind, and her most recent, The Secret to True Happiness (all FaithWords). She is also the founder of Joyce Meyer Ministries Inc. and the host of Enjoying Everyday Life radio and TV programs, which air on hundreds of stations worldwide. 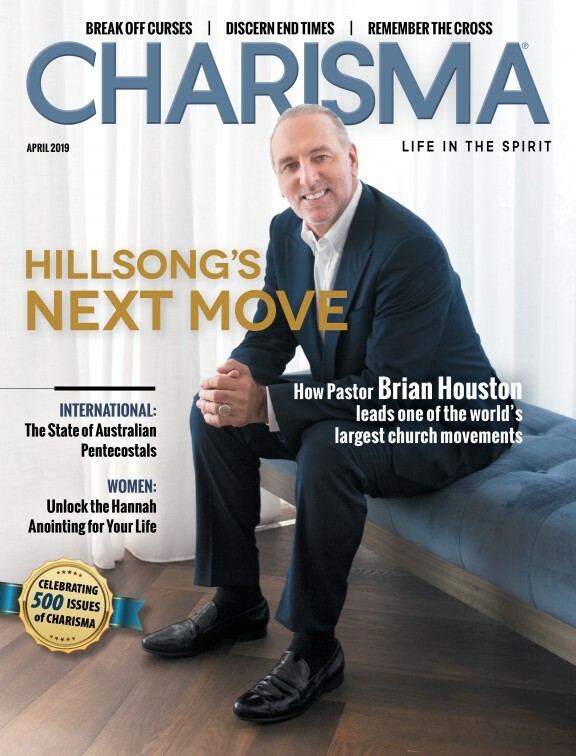 To read past columns in Charisma by Joyce Meyer, click here.